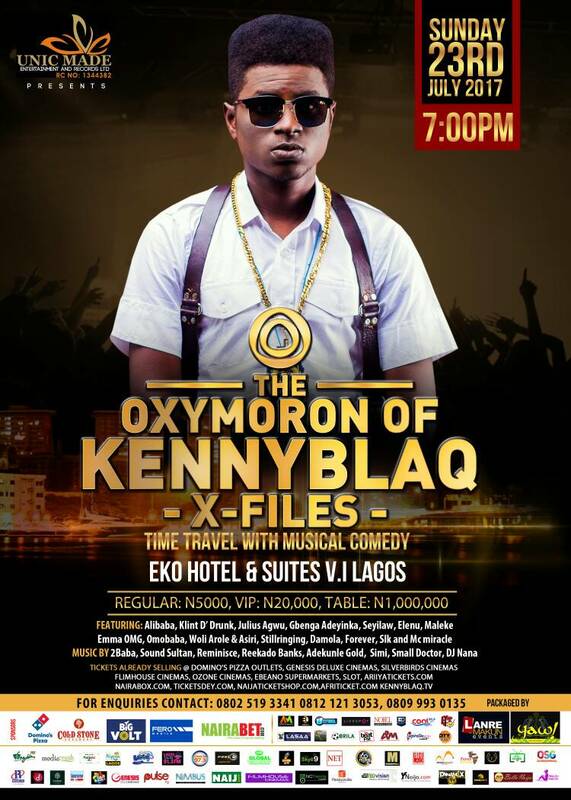 Veteran Nigerian Comedians Alibaba, Julius Agwu, Klint D Drunk, Gbenga Adeyinka and Seyi Law have been confirmed to be among the eclectic line up of entertainers to perform at Kenny Blaq’s upcoming debut comedy show tagged ‘The Oxymoron of Kenny Blaq’ happening on Sunday July 23, 2017 at Eko Hotels Convention Center, Victoria Island, Lagos. 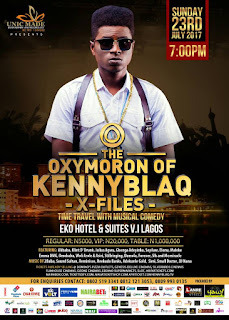 Kenny Blaq, who has been in the comedy industry for some years and had performed on some of the biggest entertainment stages in Nigeria, has promised that his performance at ‘The Oxymoron of Kenny Blaq’ will surpass anything he has done before. Over the years, the young comedian has become a special favourite of top celebrities and high-ranking individuals in the country and you can expect them to show up for the event. Tickets are available for sale at all Domino's pizza outlets, Eko Hotels, Genesis Deluxe Cinemas, Filmhouse Cinemas, Silverbird Cinema, Ebaeno Supermarkets and Slot outlets in Lagos. They are also available on onwww.ariiyatickets.com and www.nairaboox.com at N5,000 (Regular) / N20,000 (VIP), N1m (Table). Call 08121213053 / 08191581055 for more enquiry and table reservations.